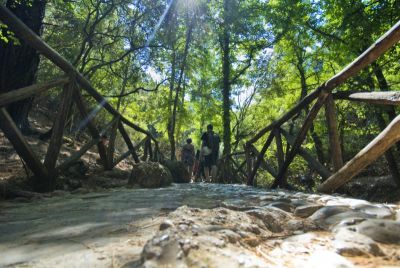 Walking and Trekking For those that love to get out in nature and walk, Rhodes is a paradise. The weather is perfect year round for this kind of activity. Ever pined for the old Greece, where timeless islands beckon modern-day adventurers just as they did Odysseus and Alexander? 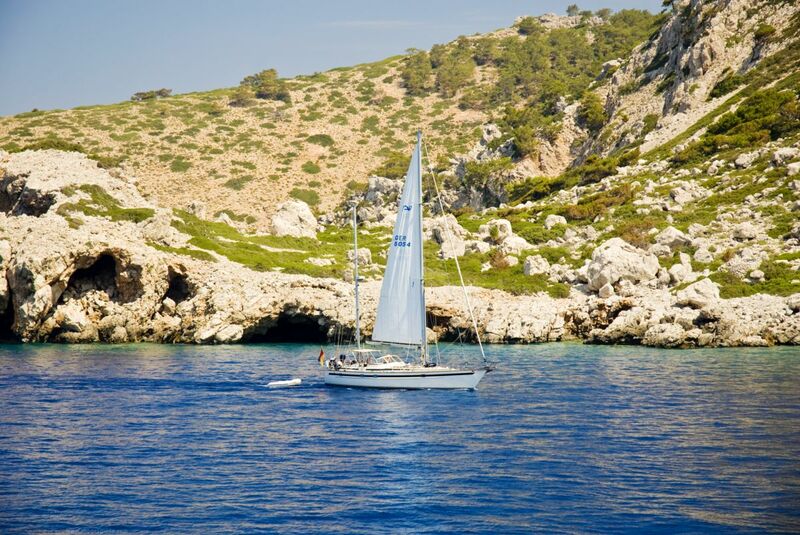 Enter the far-flung Dodecanese (Greek: Δωδεκάνησα - do-de-ka-ni-sa) archipelago, curving through the southeastern Aegean parallel to the ever-visible shoreline of Turkey. The footprints of everyone from Greeks and Romans to crusading medieval knights, and Byzantine and Ottoman potentates to 20th-century Italian bureaucrats, are found here; and beyond better-known Rhodes and Kos, enigmatic islands beg to be explored. 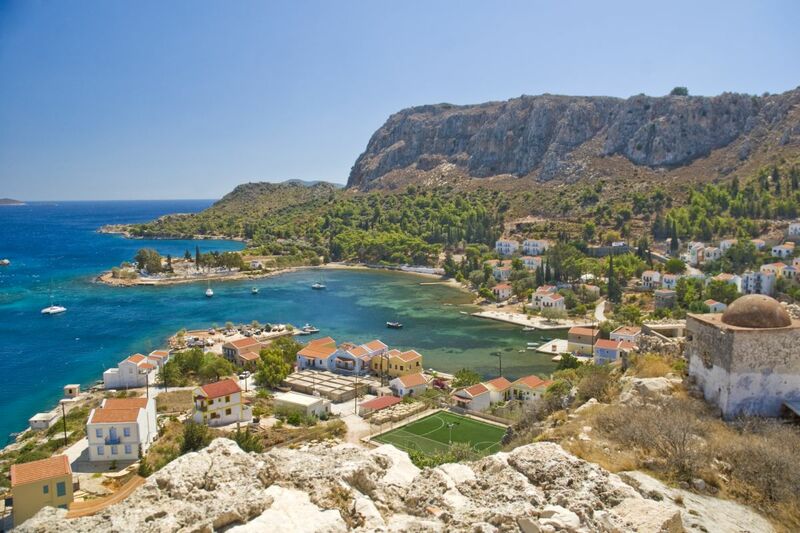 The Dodecanese or Dodecanisos is the name of the island complex in the north eastern Aegean. They are situated between the islands of Crete, the Cyclades, lkarias, Samos and the Asia Minor seaboard. Apart from the twelve main islands, which gave the name to the island complex (Rhodes, Astypalia, Kalymnos, Karpathos, Kasos, Kos, Leros, Nysiros, Patmos, Symi, Tilos. Halki), the islets of Lipsi (16 square kms), Pserimos (14.6 square kms), Agathonisi (13.4 square kms), Sari a (11 square kms), Kastellorizo (9.1 square kms), Levitha (9 square kms), Giali (6 square kms), Kinaros (4.3 square kms) amongst other islets, barren islets and rock peaks, all constitute the group of islands known as the Dodecanese. Sea shells and crustacean fossils which are found on top of mountains indicate that the formation of this island chain, either wholly or partly, occurred under the surface of the sea. During lengthy and complex geological upheavals, dry land emerged only to be, to a great extent, resubmerged some 3-4 million years ago, leaving only the mountain tops of" Aigaiida" above sea level to form today's Aegean Islands. 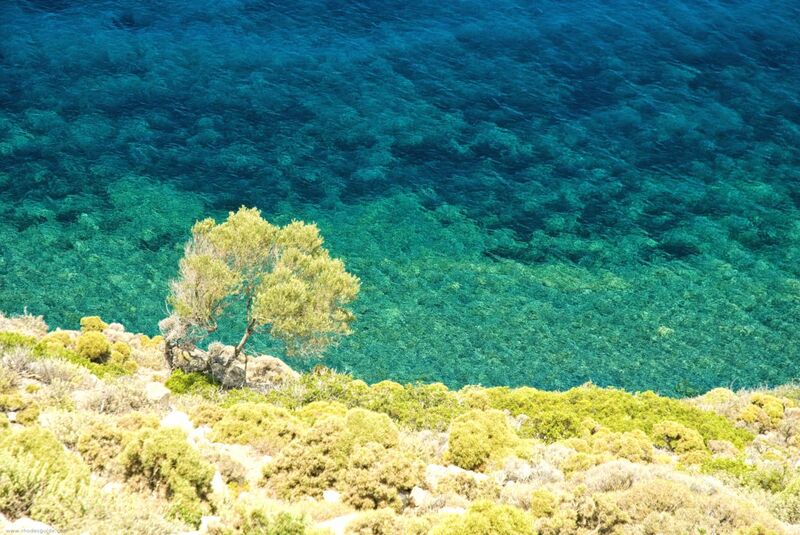 The Dodecanese climate is of a transitional type and ranges from temperate to dry tropical climates which is characterized with lots of sunlight and an extended dry summer period. Forests and bush lands of pine, cypress, wild olive, cedar, mastic. arbutus bush and holly together with a variety of annual and long lasting turf, aromatic plants (oregano, thyme, lavender), carob and olive trees, all make for a rich mosaic of plant varieties. Often on the islets unique plant and animal species have been observed (especially reptiles and invertebrate), remnants of an isolated evolution and adaptation to the unique conditions, which were created when these islets were cut off from the larger islands. The many caves, crevices in the rocks, high rocky formations, and dangerous dins all serve as refuges for rare species of birds such as birds of prey small hawks, wild pigeons, herons and cormorants. Also, due to their geographical position, the islands are a stopover for migrating birds. Tens of millions of these birds visit the islands each spring and autumn. Quite surprising is the rich sea life found in the Dodecanese seas. The rare Mediterranean seal finds refuge in the coastal caves, together with the dolphins, turtles, many varieties of fish, mollusks and crustaceans which form the rich ecosystem of the Dodecanese Sea. Every single island and islet is of itself a unique natural museum. This of course favors the development of special types of tourism. For example only the island of Kasos boasts 450 plant species, which is more than exist in the whole of Holland. The inhabitants of the islands keep to a traditionally light diet. They find nourishment mainly in vegetarian food (vegetables, greens), dairy foods (which are prepared even today by traditional methods), honey of exceptional quality as well as in fresh fish which are cooked according to traditional local recipes. The traditional occupations of the inhabitants are farming, animal farming, fishing, sponge diving and trading due to the advantaged position of the islands which lie between Europe, Asia and Mrica. For the poorer islands a source of income and therefore development was the monetary exchange coming from Dodecanese emigrants and shipping. Today, the main activities of the inhabitants has to do with tourism. However, many of the traditional occupations still survive such as stone masonry, carpentry and ship building and the women have never ceased producing exceptional textiles, knitted handicrafts and embroideries. The European Union and the Greek government support development through special programmes, which are helping the islands to participate in the new economic reality. These islands are: Agathonisi, Astypalia, northern Karpathos, Kasos, Lipsi, Megisti or Kastellorizo, Nysiros, Tilos and Halki from the Dodecanese island complex. 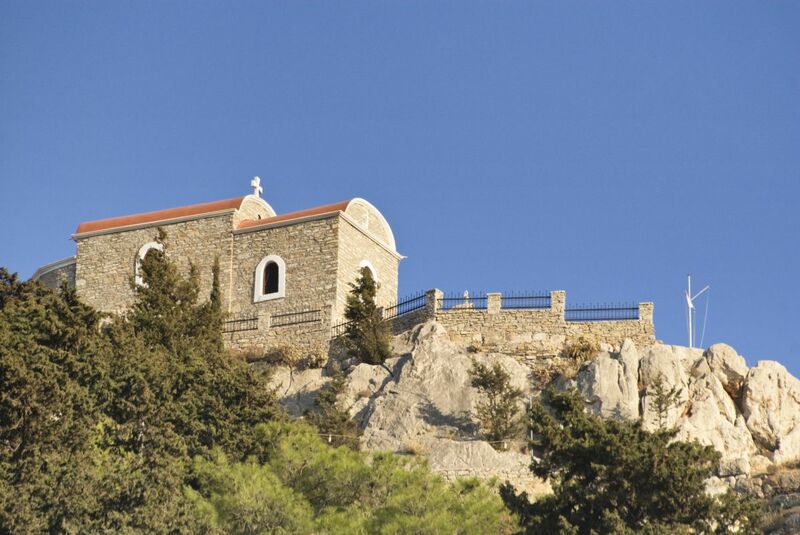 · The Dodecanese Guide, published by the Local Union of Municipalities and Communities of the Dodecanese.